The first port of call on this small trip out was the naval city of Portsmouth in the county of Hampshire. An easy to get too destination only taking a couple of hours from Milton keynes however you may wish to stay at a hotel near to destination so you can get more in over a couple of days. The place we had come to visit was the historic naval dockland easily signposted and with good car parking, however its expensive to park in this city. You need more than a day to visit all the attractions and luckily once you have purchased your tickets they last a year not bad for £38 each for all attractions. I have listed the main exhibitions below taken from Wikipedia for you to read and I cannot stress how good a day this is, the Mary rose now fully open to public is very well done . The Mary Rose is a carrack-type warship of the English Tudor navy of King Henry VIII. After serving for 33 years in several wars against France, Scotland, and Brittany and after being substantially rebuilt in 1536, she saw her last action on 19 July 1545. While leading the attack on the galleys of a French invasion fleet, she sank in the Solent, the straits north of the Isle of Wight. HMS Victory is a 104-gun first-rate ship of the line of the Royal Navy, ordered in 1758, laid down in 1759 and launched in 1765. She is best known as Lord Nelson's flagship at the Battle of Trafalgar in 1805. She was also Keppel's flagship at Ushant, Howe's flagship at Cape Spartel and Jervis's flagship at Cape St Vincent. After 1824, she served as a harbour ship. 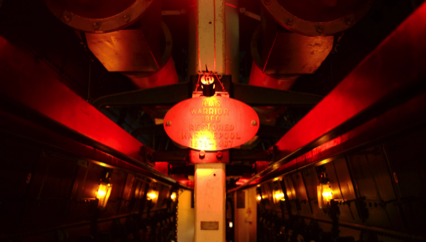 In 1922, she was moved to a dry dock at Portsmouth, England, and preserved as a museum ship. She has been the flagship of the First Sea Lord since October 2012 and is the world's oldest naval ship still in commission. HMS Warrior was a 40-gun steam-powered armoured frigate[Note 1] built for the Royal Navy in 1859–61. She was the name ship of the Warrior-class ironclads. Warrior and her sister ship HMS Black Prince were the first armour-plated, iron-hulled warships, and were built in response to France's launching in 1859 of the first ocean-going ironclad warship, the wooden-hulled Gloire. Warrior conducted a publicity tour of Great Britain in 1863 and spent her active career with the Channel Squadron. Obsolescent following the 1871 launching of the mastless and more capable HMS Devastation, she was placed in reserve in 1875, and was "paid off" – that is, decommissioned – in 1883. HMS M33 is an M29-class monitor of the Royal Navy built in 1915. She saw active service in the Mediterranean during the First World War and in Russia during the Allied Intervention in 1919. She was used subsequently as a mine-laying training ship, fuelling hulk, boom defence workshop and floating office, being renamed HMS Minerva and Hulk C23 during her long life. She passed to Hampshire County Council in the 1980s and was then handed over to the National Museum of the Royal Navy in 2014. A programme of conservation was undertaken to enable her to be opened to the public. 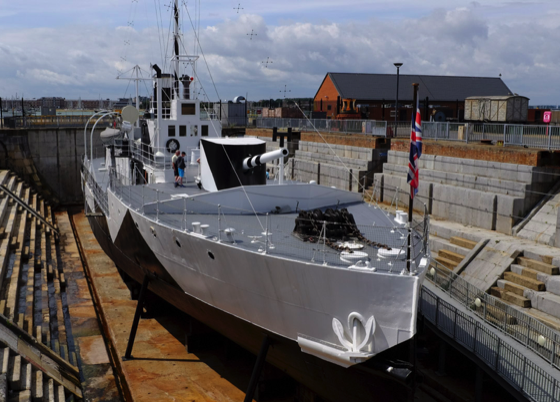 HMS M.33 is located within Portsmouth Historic Dockyard and opened to visitors on 7 August 2015 following a service of dedication. She is one of only three surviving Royal Navy warships of the First World War and the only surviving ship from the Gallipoli Campaign. Mottisfont House and Abbey is a house owned by the national trust in rural Hampshire. The Abbey that once stood there dates from 1201 and was disestablished in 1536 during Henry VIII reign. The house is set in large landscaped gardens and the usual tea rooms and gift shops will fight for your cash as you enter - please see the following text from Wikipedia for a full description. 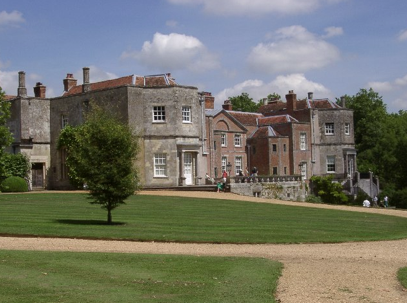 Mottisfont Abbey is a historical priory and country estate in Hampshire, England. Sheltered in the valley of the River Test, the property is now operated by the National Trust. About 200,000 people visit each year. The site includes the historic house museum, regular changing art exhibitions, gardens (including a walled rose garden) and a river walk. Struck by the Black Death, the initially prosperous priory suffered from the mid-14th century onwards. During the Dissolution of the Monasteries under King Henry VIII, the priory was dissolved and the king gave Mottisfont to a favoured statesman, Sir William Sandys, who turned it into a country home, but rather unusually, chose not to demolish the existing priory. Sandys instead turned the church nave into the main body of the new mansion, building additional wings on either side. Sections of the original medieval church may still be seen, with the later additions built around them. The 13th-century cellarium also remains present today. In the 18th century, the old monastic cloisters and Tudor courtyard were demolished by the Mill family, creating the modern appearance of the estate's facade. It was at this time that the owners added "Abbey" to the name of the house. Then, under Sir John Barker Mill, in the early 19th century, the estate became a centre for hunting, shooting and fishing, and a new stable block was built. The last decades of the 19th century saw Mottisfont let to wealthy banker Daniel Meinertzhagen under eccentric terms that forbade the installation of electric light or central heating. The ten Meinertzhagen children included Daniel and Richard, who built aviaries for their collection of eagles, hawks, owls and ravens. Richard wrote detailed diaries about his childhood and growing interest in the natural world. The arrival of Maud and Gilbert Russell in 1934 made Mottisfont the centre of a fashionable artistic and political circle. Maud was a wealthy patron of the arts, and she created a substantial country house where she entertained artists and writers including Ben Nicholson and Ian Fleming. She commissioned some of her artist and designer friends to embellish Mottisfont, always with an eye on its history, which fascinated her. Rex Whistler created the illusion of Gothic architecture in her salon (now known as the Whistler Room), a piece of trompe-l'œil painting that recalls the medieval architecture of the priory. Boris Anrep contributed mosaics both inside and outside the house, including one of an angel featuring Maud’s face – the couple had a long love affair. 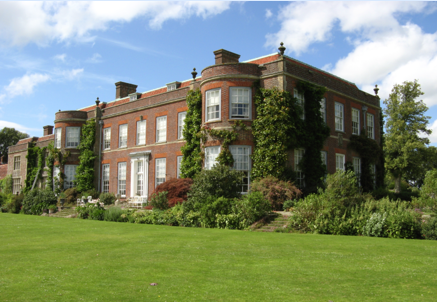 Maud Russell gifted the house and grounds to the National Trust in 1957, although continuing to live there until 1972. One of the artists who had visited regularly was Derek Hill, a society portrait painter who had a private passion for landscape painting, and who collected work by his contemporaries. He donated a substantial collection of early 20th-century art to the National Trust to be shown at Mottisfont, in memory of his long friendship with Maud Russell. Today, these works are joined by a changing programme of temporary exhibitions of 20th-century and contemporary art. This was the second National trust house we visited whilst down on a short brake to Hampshire. The house and garden are owned by the National Trust and are open to the public. The garden was created by Ralph Stawell Dutton (1898–1985), the 8th and last Baron Sherborne, starting in 1930, making this a modern 20th-century garden. The property is now more noted for its garden than the house. Previously, the parkland came directly up to the house, which was designed to be a hunting lodge. An earlier Tudor house stood close to the current site, before the current house was built. The current house was built in 1790 but remodelled extensively in 1867. It was remodelled again in the Neo-Georgian style by Trenwith Wills and Lord Gerald Wellesley for Ralph Dutton between 1936 and 1939 to his vision of what it would have been like had it been built on its current scale in 1790 – a Georgian country house. It was badly damaged by fire in 1960, and restored again much as it had appeared in 1936. The house contains a number of fine paintings. There is a set of paintings of the four seasons by Jacob de Wit, depicting cherubs painted in a three-dimensional monochrome style. Ralph Dutton, with no direct heirs, gave the estate to the National Trust, on his death in 1985. The old Tudor house attained notoriety, in the 18th century, after it became uninhabitable due to a severe haunting. The tenant, one Mary Ricketts, wrote extensively on the subject for her children's benefit, after having been literally forced to flee the property with a few remaining retainers (many had already left in terror). The house was pulled down in 1793, after its replacement had been built about 50 meters (160 feet) to the south.